Oh geez, I've gone and got myself backlogged again. 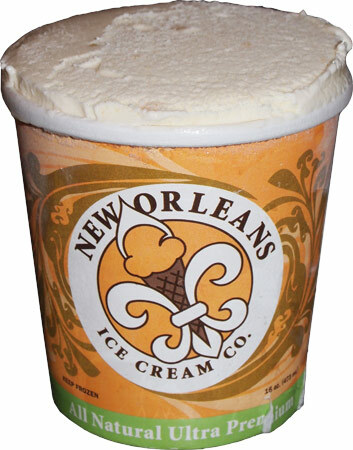 I know I did the Wonka reviews a little too close together (partially because of my refusal to put them all in one post), so I wanted to take my time with the New Orleans Ice Cream reviews. It's good stuff and seems deserving of some better spacing as they begin their nationwide rollout. Problem is, now I feel like I'm behind the 8-apple ball. 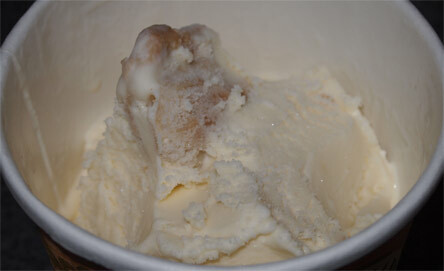 This is Hubigs Apple Pie Ice Cream from New Orleans ice cream. Now Hubigs isn't some funky spice or cooking style, it's a New Orleans bakery institution that is beloved by many. Unfortunately tragedy struck early Friday morning, July 27th, 2012. The bakery was destroyed by fire. It was a sad day for the community. Hubigs was knocked out for four months after Katrina yet went on to regularly feed the overworked local police and firefighters with unsold pies during the recovery (You can read more here). I wish them the best in their recovery efforts and if you are interested, the best way to help right now is to keep Hubig's in your thoughts, prayers, tweets, newsfeeds, and shirt closet. Until they are back on their feet, they can't make anymore of this ice cream. Well, that explains why the cover was lopsided, this puppy is overflowing with frozen goodness. Holy Guacamole! I dub thee Mount Hubig! One more shot because I want to drive home that while the large apple bit (top part of picture) and the crust bit (bottom part of picture) are both sizable, neither one was omnipresent in my treat. 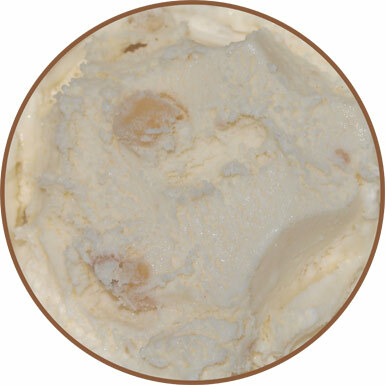 Ok, that was probably a silly way to say that but the point is that while the varying sized apple chunks add a real nice summer flavor to the whole pint, the crust bits don't seem to bring a whole lot in terms of taste or texture. Maybe if Mount Hubig had been evenly blended throughout the pint then maybe there would have been a nice grit in every spoonful, but it's just not here. So don't get yourself psyched up thinking this is some crusty endevour, this is all about a nice apple flavor. On Second Scoop: Or maybe I should call this "On I keep going back to the freezer Scoop". I don't know if it's the mild flavor or the easy scooping or just a drive to find more crust pieces, but I literally plowed through this pint in about 15 hours. I started yesterday after dinner with a big first scooping, had several smaller scoopings last night and this morning and then by say 10:30 I was telling my wife she might want to snag the last 20% before it's all gone. 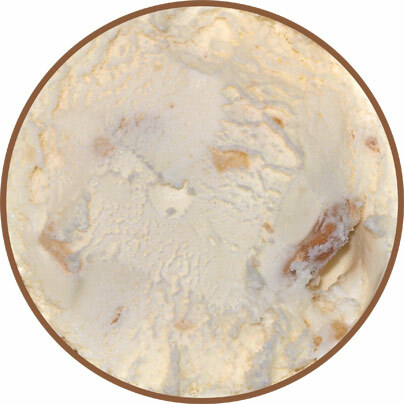 It's soft, it's creamy, and it's a pleasant summertime pint. 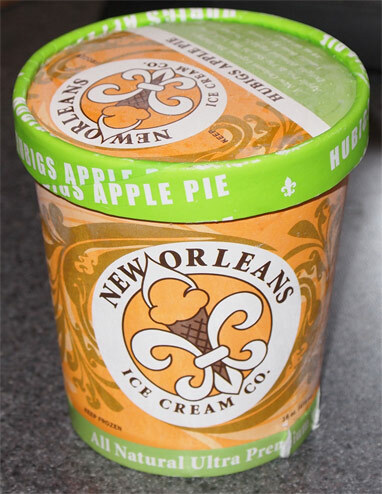 So, New Orleans gets another thumbs up on Hubigs Apple Pie. There's no cinnamon swirl to distract me here like there was with B&J American Apple Pie, nor do we have the annoying chewiness of Edy's Apple Pie. It's just a straight forward apple flavor with spots of Hubig's infamous crust. Note: I won't be reviewing Mississippi Debris, but you can check it out at Crazy Food Dude. As a big fan of chocolate, I could say the same of Mississippi Debris hehehehe it will be interesting to see what the final thoughts are on all these flavors when we are done. That looks awesome! I love huge mix-ins. I'm guessing this is not available in the northeast. OMG. I am pregnant and this post has inspired the stereotypical NEED FOR ICECREAM. NOWWWWWWWWWWWWWWWW.